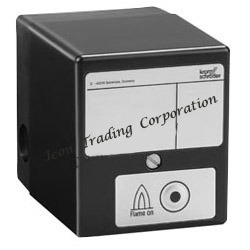 Leading Exporter of kromschroder flame detector from Kolkata. Backed by team of skilled expertise, we are influential in supplying and trading extent catalog of Kromschroder Flame Detector. Our offered products have vast uses in burning processes for detection of flames inside the furnace and further notifying the operator at high speed. These detectors possess optimum sensitivity, high toughness and thermal resistant, owing to their fabrication with high end technology. Available with us in different stipulations, these are offered to our clients at nominal price tags. Looking for Kromschroder Pressure Switch ?